What is now the hamlet and CDP of Central Islip was originally home Secatogue tribe of Algonquins before it was purchased by William Nicoll of Islipe, England. Before coming to its current title, the area was also merged under Suffolk Station (so named for rail road which reached the area in 1842, becoming the commercial center of the area). 1892 saw the construction of the Central Islip Psychiatric Center, which could grow to over 10,000 patients in 1955 before closing in 1996 when its last patients were transferred to the Pilgrim Psychiatric Center. As the hospital started to be phased out in the 1990’s, a number of new structures and businesses established themselves upon the land it once occupied. Many of Suffolk County’s offices and its largest courthouse (which claims to be the second biggest in the country) were relocated to the area in 1992, and the New York Institute of Technology made use of a large chunk of the land for its buildings. The Long Island Ducks, a minor league baseball team, have resided in the newly constructed Bethpage Ballpark since 2000. The area has also become home to the Touro Law School. 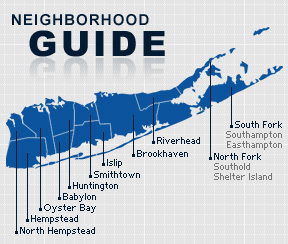 As of the 2010 census, Central Islip had a population of 34,450 with 9,365 households and an average household size of about three and a half persons. The median household income was $33,598 with males making $37,814 and females $31,739.